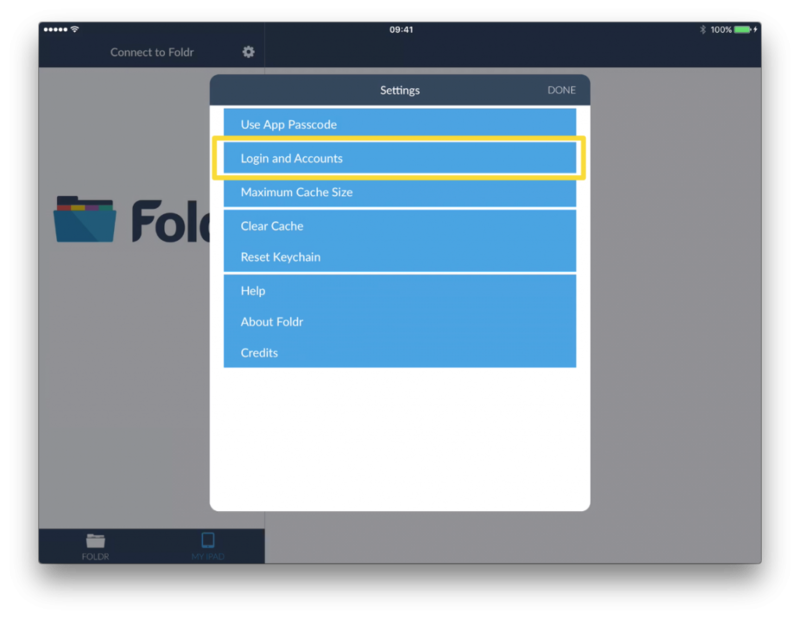 You can store multiple accounts within the Foldr for iOS app. This can be useful for testing purposes, if you use different accounts across organisations or you’re part of a larger academy trust with separate Foldr appliances per school. 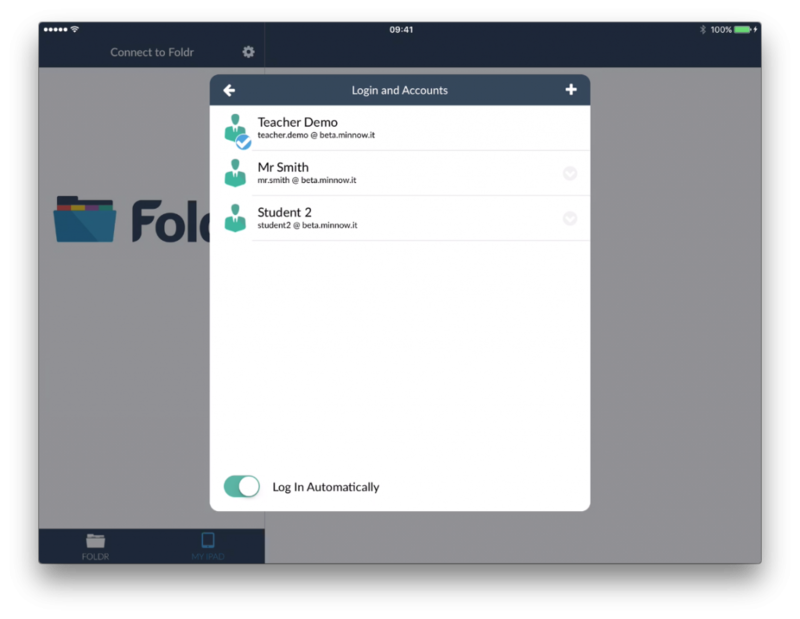 Upon first launching Foldr for iOS you will be prompted to associate your first account. To add additional accounts first log out. Then tap the cog/gear and the “Login and Accounts”. To add a new account tap the icon and then enter the address of the Foldr server, your username and your password. 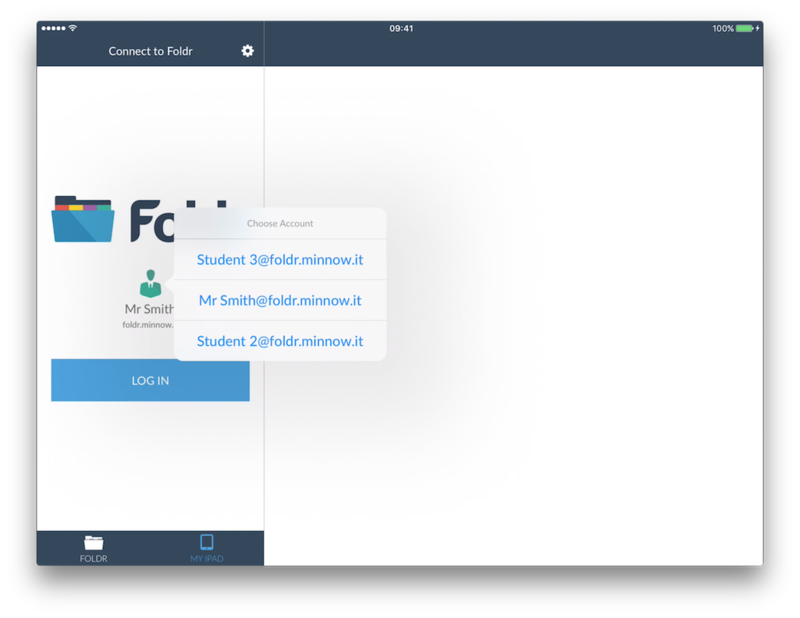 You can quickly switch between multiple accounts in the Foldr iOS app by long pressing the user icon on the login screen.